Here you can find general information about your booking and your stay at a carathotel. For specific information concerning one of the hotels, please consider the particular FAQ at the hotels site. Always 10% cheaper than booking platforms! By booking through our website, your room rates will always be 10% cheaper than on popular booking platforms and always constitute the best rate available. We use the “Booking Button” booking system made by Siteminder. Booking through this system is easy, simple and 100% secure. All websites are SSL encrypted. On top of that, the service is certified by PCI DSS (Payment Card Industry Data Security Standard), which guarantees the secure transmission of your credit card data. Also, your data will always be stored in an encrypted form in our hotel administration system. Mobile check-in, smart booking overview, easy check-out. 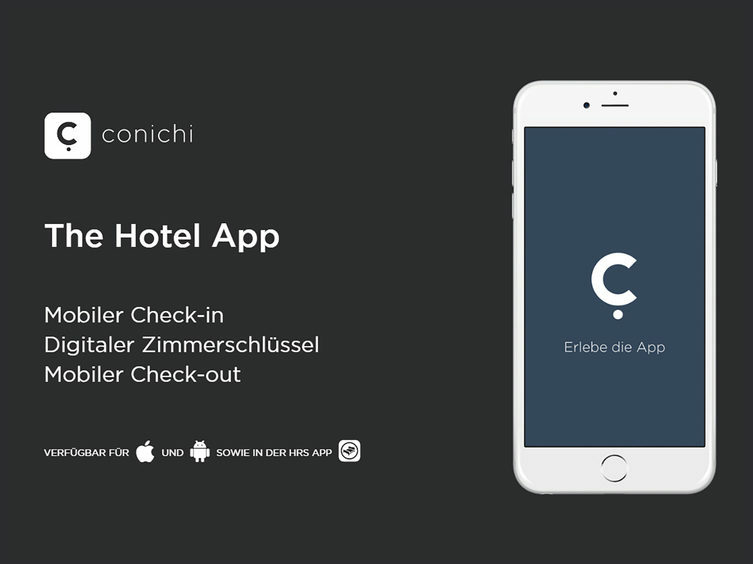 Manage your booking via mobile phone, check in while travelling and avoid long lines at the reception: the new app for smart hotel guests will make travelling in Germany a lot easier, faster and less complicated – not only while staying at one of our carathotels! This service is actually available for carathotel Munich City; more carathotels follow soon. Compare the payment and cancellation restrictions. This is the best room rate available in our hotels. Please note: once booked, the rate cannot be cancelled. The total amount of your booking will be charged immediately to your credit card (credit card required). If your travel plans are still uncertain and might change, we’d recommend our flexible rate or the purchase of a travel insurance. This rate cannot be cancelled. If you cancel nonetheless or fail to arrive at the hotel, we’ll charge 90% of the total price. The amount will not be refunded. Please read our Terms & Conditions for more information. Immediately upon completing your booking, we’ll charge 100% of the full amount to the credit card you specified in your booking. This payment transaction is absolutely secure as your credit card data will only be stored in an encrypted form. By making a pre-payment and entering all information required on our registration form, checking in will be much faster and easier as you won’t have to wait in line at the reception. By choosing our flexible rate, you may cancel or change your booking until midnight of the day prior to your arrival. The full amount of the booking will have to be paid on the day of arrival at the hotel (credit card required). It’s possible to cancel your booking until midnight (11:59.p.m.) on the day prior to your arrival. If you plan to arrive on March 27, you may cancel your booking until 11:59 p.m. on March 26. Cancellation has to be made in writing. If you cancel your booking on the day of your arrival or if you fail to arrive at the hotel, we’ll charge 90% of the total amount of your booking to your credit card. Please read our Terms & Conditions for more information. You’ll be required to enter your credit card details in order to guarantee your booking.